How to Survive Being a Presbyterian! All families possess shared anecdotes. 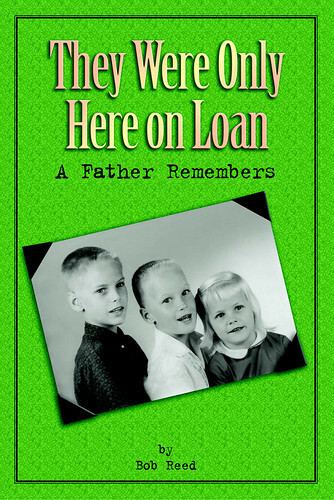 These little tales are about the wonderful years of the authorâs role as a father. For as every dad finds out, the kids are âtoo soon gone.â? From childhood to young adult, the stories trace the growth of one manâs family, with occasional ruminations about the uncertainties and follies and foibles of fatherhood. Most of the tales are funnyâsome are sad. A few are both. They all celebrate the fact that fatherhood is a unique and wonderful experience. Dads will find in the stories a reminder to remember. And hopefully they may hear a prompting to hold their own family tales close to the heart in the telling and retelling with those who share their lives. Buy from Amazon.com for $16.95. Bob Reed is a retired professor, PBS executive, publisher, and author who hopes that families will never lose the memories of themselves.